A new flagship device is almost invariably exciting if you’re a tech junkie, and we all at Redmond Pie surely are, even if we don’t plan on getting our hands on every new device that sees the light of day. Yesterday, we brought to you news of HTC One’s successor – a device that has so far been recognized only by its codename, M8 – being leaked in high-quality press images courtesy of the reliable leakster Evleaks, and today, another image has surfaced, thanks to the same source. This new leak sheds a little more light on the device in terms of color choices. 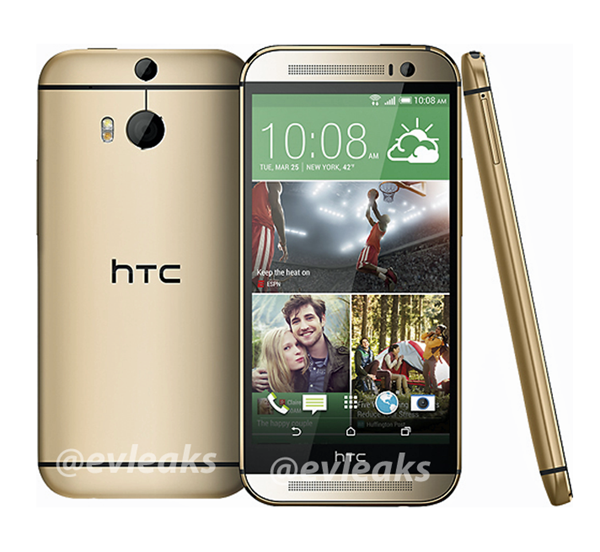 It shows off a gold variant of HTC One M8 (more on naming in just a bit) and sheds light on both the front and back of the device. It also appears that the device will end up being officially called HTC One 2014 edition, although we’ll only know for sure once it’s formally announced by the Taiwanese manufacturer. The design of the new HTC One 2014 edition, although being remarkably similar to last year’s flagship, shows a dual LED flash on the back, next to the camera lens. That’s no biggy, you’d say, and rightly so – but what I find most peculiar is that the second LED looks remarkably similar to Apple’s True Tone flash on the iPhone 5s. It can be a mere hunch or coincidence, for that matter, but who knows, maybe we’ll see something unique for HTC as well in the photo capture department. Other than the flash, there does appear to be a second camera lens on the back as well, which might indicate some advanced photo capture capabilities. Of course, it’s all hypothesis for now, but exciting nevertheless. So far, for the 2014 variant of HTC One, the rumors put the device at a 5-inch true HD 1080p display, 3 gigs of onboard RAM, Snapdragon 800 processor and Android 4.4 KitKat out of the box. The device will also feature the brand new Sense 6.0 UI skin, which looks really cool, and if Sense 5.5 were to be any indication, quite functional as well. 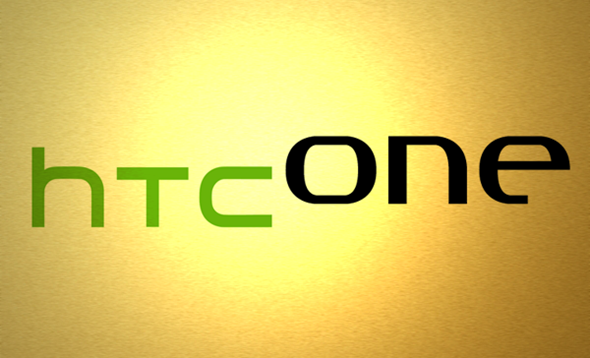 The release date of HTC One is still under question. HTC sent out invites for March 25 event of its own, and it’s possible that it might not unveil anything at the MWC end of this month. Then again, if Samsung were to show to the world what they’re offering in terms of Galaxy S5, things might turn out slightly differently. Guess we’ll just have to wait to find out.